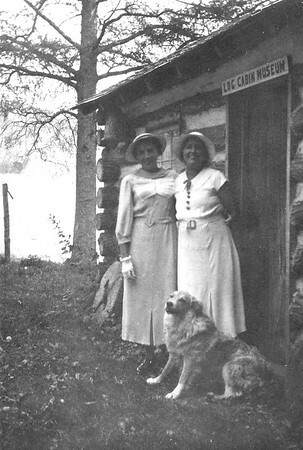 Mary Von Arx and her older sister Katherine (Von Arx) Langen outside the Log Cabin Museum which was on the edge of Hokah near the Root River bridge. Katherine "Katie" and her husband, William Langen lived in the back part of the log cabin, behind the Museum. The Museum contained items collected by Willie throughout his life.